The Ka-Bar Boss is a classic Snody knife decked out with lots of accessories. Each knife comes with two sets of textured handles; a blue Reptile version is mounted to the knives and a purple version highlights Snody's stylized "S" logo and is included in the package. 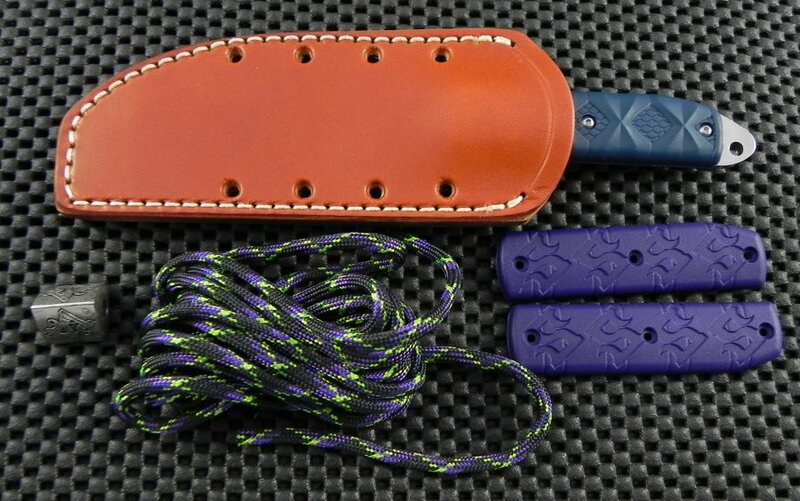 Ka-Bar has also thrown in a custom-designed Schmuckatelli Co. bead, coordinating 550 cord, and a semi-custom high-quality leather sheath made by JRE.